The lovely people at Harvey Nichols and Nails Inc invited me to their Champagne Bar in Leeds for a lovely after work treat. I went for the Hyde Park Hand Facial Manicure which is one of the four new treatments that Nails Inc are offering, these are all exclusive to Harvey Nichols. This treatment lasts 45 minutes and costs £50. Now this might seem like a lot for a manicure but boy is it worth it! There are a few different stages to this manicure including a steam cleanse, a microdermabrasion and a conditioning mask. It leaves your hands feeling absolutely amazing, they feel instantly smoother and smell divine. I’ve recently developed eczema on my hands and this was just the treat I needed to bring them back to life. I was lucky enough to also get my hands on the new Victoria Beckham nail polishes, I actually had the Judo Red shade applied while I was there. It’s such a rich orange/red polish it’s the perfect pop of colour, especially in these long winter months. I also received the other shade, Bamboo White which is a beautiful bone colour. 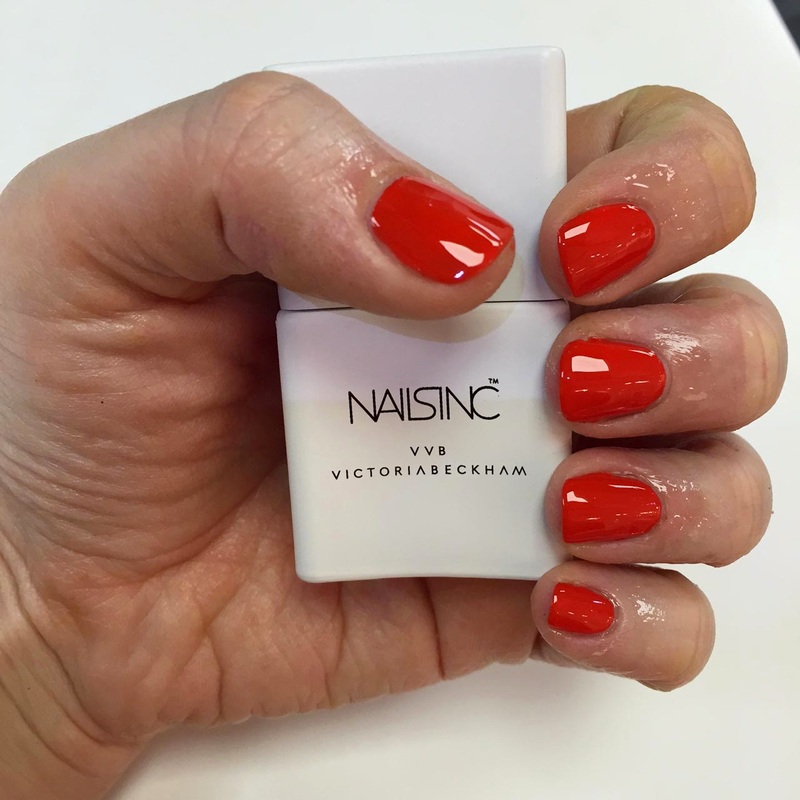 Both of these polishes were created with the Victoria Beckham SS15 collection in mind. Even the bottles have a really chic design, I’m an absolute sucker for packaging. These polishes are £25 each or £45 for the set, you can get them online now or they will be available in store soon. I really enjoyed the overall experience, there is something so luxurious about getting your nails done and sipping champagne. "Fashion: The Classic Black Bag"